The State of New York has tried to take some of the hassle out of your traveling within the state. Available for your golfing needs is the NY Golf Shuttle. It will arrange for transportation needs as well as tee times at many New York courses, including the famous Bethpage Black Golf Course, scene of the 2002 U.S. Open. It’s a wonderful service to simplify your golfing vacation! There are a myriad of great courses in New York State. May we recommend the beautiful Saxon Woods in Scarsdale. 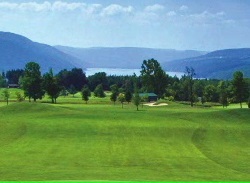 There is also, the charming Camillus‘ West Hill Golf Club. For $10 you can even take part in a game of croquet. You will definitely enjoy golfing in New York!! !